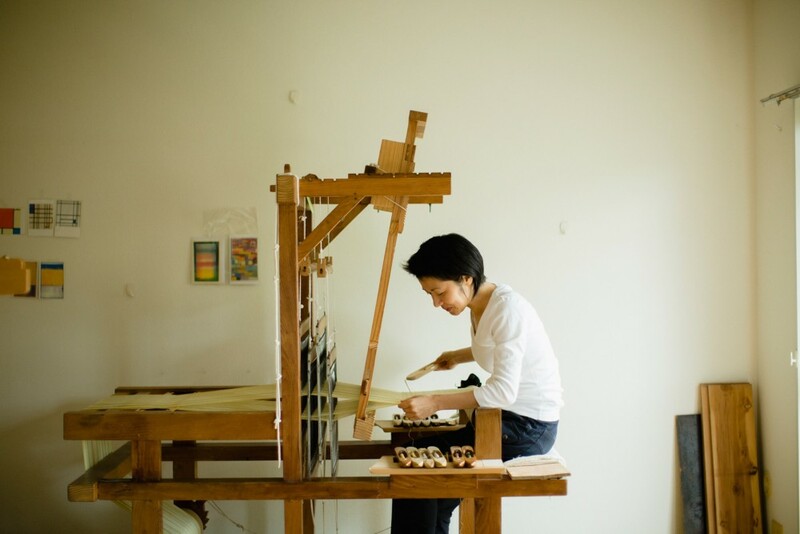 Mihoko Yoshida has been planning, dyeing and weaving the Japanese Kimono and obi for over 25 years in her photogenic, poetic and music-listening way in the brand of Someori Yoshida. Most of Japanese kimono artists are trying to keep and follow the tradition of Kimono culture or be free from its tradition by an outrageous idea like pop-up design. The Brushing colors is the dyeing technique, probably she is the first artist in the Japanese kimono and Obi making to pick-up this method. She paints direct on the warp thread spread tightened on the loom placed in her sunshine light rich room before starting shuttling wefts thread. The crossing of the painted warps and wefts looks charming and attractive in the Japanese kimono and obi making. She picks-up the thread which most of Obi artist will not use. She likes to use the Gowa-Gowa Boso-Boso thread for the Obi making. These thread called Kibiso, the first thread the silk worm made. By using these thread, she makes the cubic not flat fabric for Obi making. She has always been passionate to make the full-ordering kimono from the beginning to the end. On every single steps on each projects, she thinks deep to choose the thread, how and times to twisted, dye material, way to dye, how to weave, how to brush and how to loom in order to make her design come true. 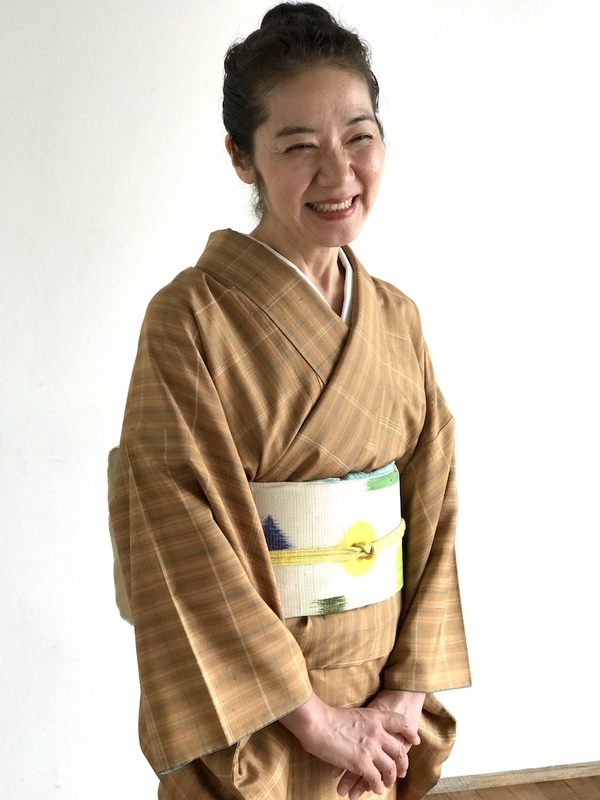 She has been offering this service for the Kimono lovers who wishing the next Kimono and Obi something different from traditional design and technique. But the most important part this method is the talking with clients.